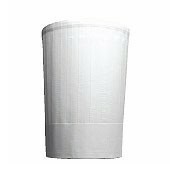 Chef Revival H055 Corporate Disposable Tall Chef Hat 7"
TigerChef > Smallwares > Chef Wear > Chef Hats >< Disposable Chef Hats > Chef Revival H055 Corporate Disposable Tall Chef Hat 7"
$54.77 Chef Revival H048 Dispoable Pinstripe Chef Hat 7"
$51.60 Chef Revival H056 Corporate Dispoable Tall Chef Hat 9"
$96.97 Chef Revival CHR12-P Disposable Tall Chef Hat 12"
$97.58 Chef Revival CHR12-V Disposable Tall Chef Hat 12"
$66.03 Chef Revival H049 Pinstripe Disposable Chef Hat 8-1/2"
$266.44 Chef Revival DHN500-BL Disposable Nylon Hairnet 28"
$266.44 Chef Revival DHN500 Disposable Brunette Nylon Hairnet 28"
$266.44 Chef Revival DHN500-BK-22 Disposable Black Nylon Hairnet 22"
$4.65 Winco DCH-12 Disposable Chef Hat 12"
$4.43 Winco DCH-9 Disposable Chef Hat 9"
$10.73 Winco DCH-3 Disposable Chef Hat 3"
Provide your chef with a professional look while adhering to health codes with the Chef Revival H055 Corporate Disposable Tall Chef Hat 7". This chef hat is designed with a Velcro closure for a nice, secure fit and is also disposable for ultimate convenience. Crafted from a non-woven fiber with a vented top, this chef hat is lightweight and breathable making it ideal for a hot, busy kitchen.